These designers work to stretch the limits of bamboo design, and the Tortoise has a beautiful roofline based on the structure of folded paper. 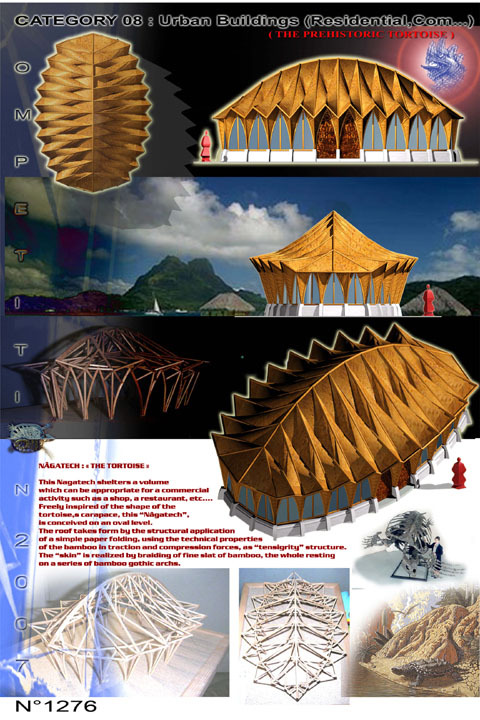 The Tortoise is intended to be a commercial pavilion, housing a large volume of space for dynamic enterprise. The gothic arches of the ceiling are covered with woven slats of bamboo.